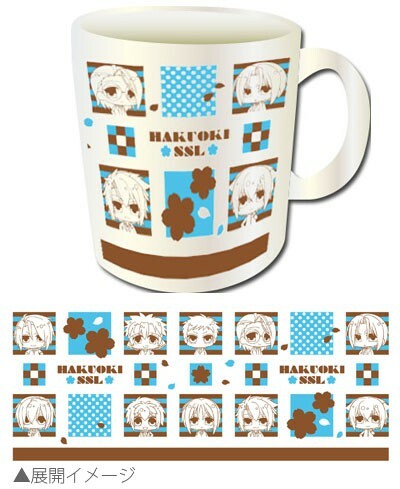 MORE HAKUOUKI SSL COLLECTIBLES FOR PREORDER! 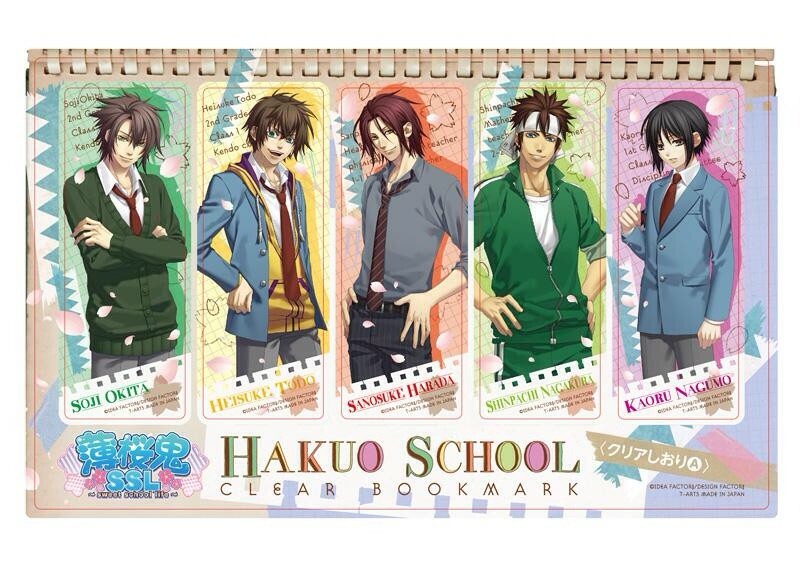 More collectibles for Hakuouki Sweet School Life are up for preorder! Please let me know if you want any of these. They won't be released until the end of April, so they won't be available for shipping until May. Again, I don't ask for prepayment, but please be serious about buying if you preorder!! No no no! These are so cute! 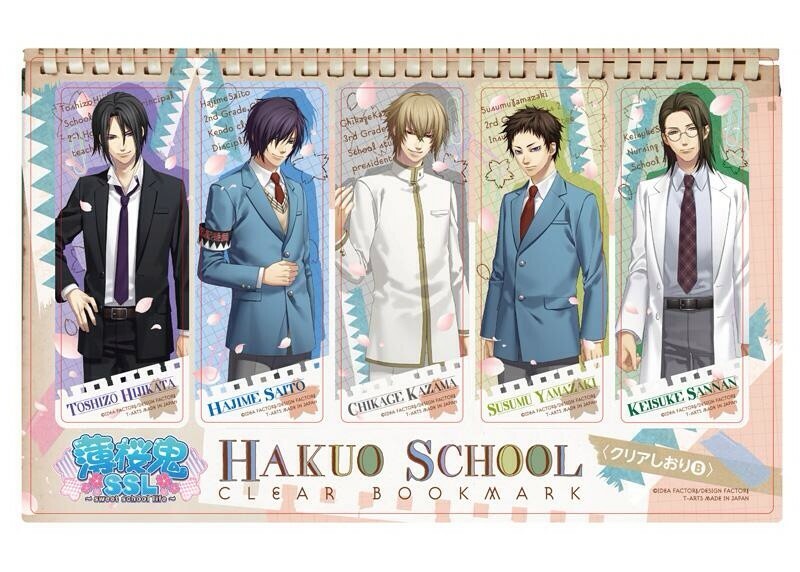 Lol bookmark set A is like super colorful compared to B.
XD oh duckie you make me laugh. 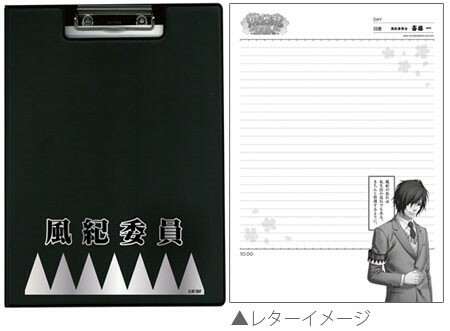 yeah I was thinking about Hiji's collar, I bet he arrives with it straight but then gets fed up with his students in no time and loosens it in frustration XDDD. That could very well be the case, since one of them is the mischievous Okita who always messes with him!!! The items are so cute but I guess that will be it for now :P.